[Above] The bronze memorial, dedicated to Marinko Tomas - said to be the first West Australian killed in Vietnam. The memorial is located near the Vasse highway, and was donated by the Vietnamese community. It was established as a Nannup bicentenial project. 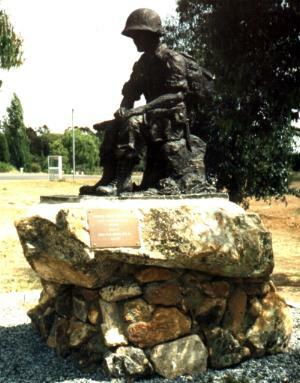 This Vietnam Memorial is located in Nannup, Western Australia, a small town located 282 km from the state capital, Perth. The memorial is in a park dedicated to Marinko ('Tich') Tomas, a 21 year old farmer from Manning in WA. 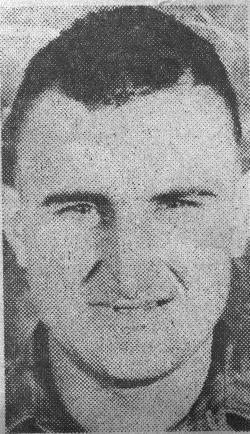 Tomas was called up on 30 June 1965, and was a Lance Corporal with the 5th Battalion of the Royal Australian Regiment (5 RAR). He had been in Vietnam less than a month when he was killed on the 8th of July 1968 as a result of shrapnel wounds to the back from friendly artillery forces. Thanks to CJ Edwards for photographs and some of the information.